1- Aires is a solo project that I started some months ago. The whole idea was to create an album out of some sounds that I recorded and discarded over the years. So I started digging my hard drives for sounds, worked them up a little bit, transformed those ideas into tracks and  "Aires" was born. 2.How would you describe the musical sound that is present on the recording? 2- I would describe the sound on this record as a mix between the digital and the organic, or, if we're in the mood for fancier words, this sounds like abstract echoes of digital entities mixed up with concrete, organic sounds, like the samples of people talking, which I used a lot on this one. Here,the digital is always dominating the organic, but even something as common as sample of an old man talking (like the one on the opening track) can be a diffuse, spectral experience. I like that duality.There is also a lot of repetitions and static-like noise, and tons of effects that give it this weird symphonic vibe. As far as genres go, I like to think of it as some sort of noisy mechanical drone, not without its emotions. The new stuff I'm working one if far more melodic and emotional ; if you're into creating new tags and genres ( as I do) ,you may witness the birth of something that I like to call the emo-drone. 3.What are some of the images you bring out with your music? 3- The sounds conjure images of bleak,quiet desperation, let's just leave it at that. But what I feel doesn't matter,I hope that the sounds are strong enough on its own to create something on the mind of the listeners. 4.What is the meaning and inspiration behind the name 'Aires'? 4- There is no real meaning nor inspiration behind the name Aires, I just like the name. I was attracted by the idea that "Aires" gives no clues as to what the music might sound like. If a band is called Ruptured Artery you imagine a death metal band, if the band is called NecroWinter or something kvlt like that you would imagine an early 90's norwegian black metal band,and so on. Aires gives no clues about the sound, it's just a name, with nothing attached to it, as far as I'm concerned. 5.Currently there is only 1 member involved with the project, do you feel this adds to the creativity of the music? 5- Yeah, I'm alone in this one. I'm not sure about creativity, but I do know that being alone enables me to do things my way, and that is what I need for this particular project. It's more about control, about being in charge. 6.the new album came out on Enough Records, can you tell us a little bit more about this label? 6- I always had Enough Records in mind when I first started the project. I knew that they were not accepting submissions from new artists, but I decided to try my luck and sent them the album anyway. Fortunately, Filipe liked the record and ended up releasing it, which was great, as the label is very influential and respected. Enough Records has been active since 2001, with almost 350 releases on many different genres, so they really know what they're doing. 7.On a worldwide level how has the feedback been to your music by fans of ambient, drone and shoegaze? 7- The feedback so far has been very good. The record has 8 or 9 reviews online and it's been surprising how positive and encouraging they were. Let's hope it continues that way! 9- Like I said, I've been working on some new tracks, and while they don't sound radically different from what I've been doing, they sure have more melody going on, more emotion. On the next few weeks I'll release a split with two very talented musicians, but you'll know about in due time. As I said before, emo-drone, man. 11- Besides music I'm interested in arts in general, cinema in particular. I'm also finishing my master's so my interests revolve around that : music, cinema, books and journalism. 12 - First of all, thanks for taking the time to listen to the record and doing this interview. For those reading, check out http://aires.bandcamp.com/ for 30 minutes of bleak stuff, you might like it. Even if you don't, its free,so...Anyway, take care! Helvetti and Dark Occvlt Ritual are 2 projects from Brazil that team up on this recording and create some dark occult ritualistic ambient music with the ep being called "Hidden Voices" and released by The True Blackevil. The ep starts out with wood burning and ritualistic spoken word parts and on the following track melodic chanting is added into the recording along with the vocals adding in more black metal influences along with some drones and the last 2 tracks are a 2 part concept as well as the music getting even more harsh and evil on the last track as well as being almost 20 minutes long and towards the end synths are added into the song. With this ep Helvetti and Dark Occvlt Ritual bring in a very dark and evil sound that is very blasphemous and ritualistic and you can hear some demons being invoked in the 3 songs that are present on this recording. In my opinion Helvetti and Dark Occvlt Ritual are 2 very great sounding evil and ritualistic dark ambient acts and if you are a fan of this musical genre, you should check out this split. RECOMMENDED TRACK "Until the Reaper Comes PT. 1". 8 out of 10. Hellsnoise are a project from Brazil that plays a very dark and ritualistic form of occult noise and this is a review of their 2014 album "The black Noises of Doom" which was released by The True Blackevil. 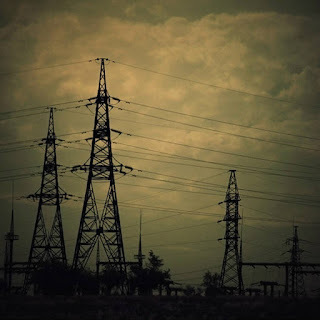 The album starts out with a dark and evil atmospheric sound which gets louder as time goes on by as well as adding in natural sounding noises before bringing in evil voices which also have a melodic tone to them at times that bring and evil feeling to the recording along with some drones which also leads to the vocals adding in black metal influences. As the album progresses more harsh noise sounds are brought into the recording along with more black metal vocals and screams and at times you can also hear some clean singing in certain parts of the recording which bring in a more ritualistic feeling to the songs and there is also a track that goes over the 12 minute limit..
With this album Hellsnoise creates a very dark and evil sounding ritualistic occult album with black metal vocals, drones, dark ambient and harsh noise all mixed in along with a very dark, raw and primitive production. 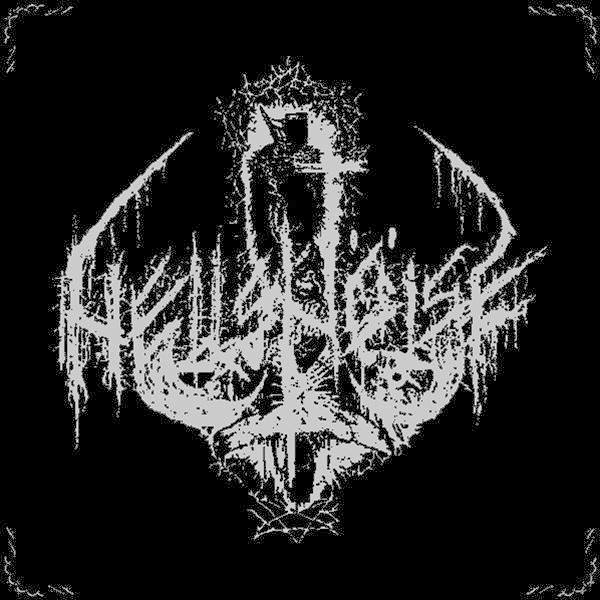 In my opinion Hellsnoise are a very great sounding dark and ritualistic occult noise project and if you are a fan of this musical genre, you should check out this album. RECOMMENDED TRACKS INCLUDE "Ascension Of Fall" "The Exorcism" "Suicidal Rebirth" and "Deathmarch". 8 out of 10. Horrida Vultuum are a duo from Brazil that has been featured before in this zine and plays a very ritualistic and occult form of experimental music and this is a review of their 2014 ep "Maxto mors Mortis" which was released by Thetrueblackevil. The ep starts out with tribal and ritualistic sounding drones along with elements of noise and on the second track the noise sounds get a little bit more harsher and you can also hear traces of dark ambient in the music along with black metal screams in the background and on the last track the music gets more dark and evil sounding along with some harsh soundscapes and the song is over 12 minutes long and also retains the black metal elements. With this ep Horrida Vultuum continues their dark and ritualistic approach to experimental music while also having a good amount of harsh noise and black metal influences along with a dark and evil sounding production. In my opinion this is another great sounding recording from Horrida Vultuum and if you are a fan of dark ritualistic experimental noise, you should check out this ep. 8 out of 10. Aires are a 1 man band from Portugal that plays a mixture of ambient, drone and shoegaze and this is a review of his self titled 2014 album which was released by Enough Records. The album starts out with dark ambient drones and field recordings and after a few minutes they get more diverse in sound and you can hear humans and talking in the background as well as a good mixture of keyboards and lap top sounds. 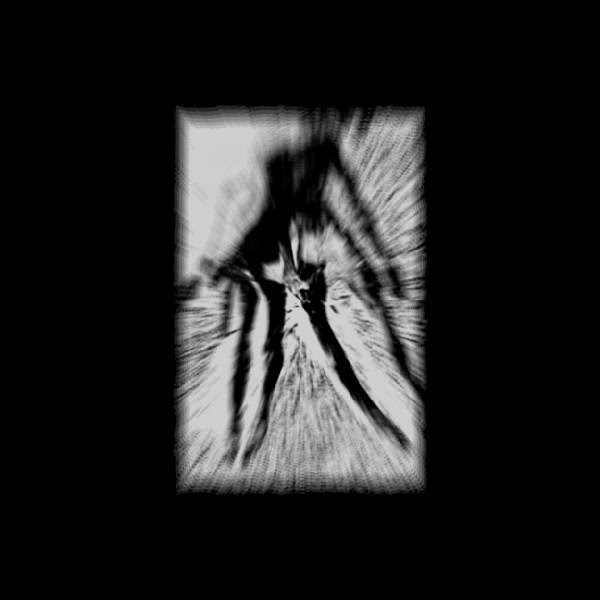 On the following track elements of experimental and noise are added into the music while the main focus is on dark ambient drones and the music also has a more distorted feeling in certain parts of the recording along with a small use of static sounds and on the last track there are some parts that almost have a post black metal feeling to them. Aires create a very interesting sound with the laptop and keyboards and the music is very dark sounding ambient drone with elements of drone along with a dark sounding production and the music being all instrumental. In my opinion Aires are a very great sounding mixture of ambient, drone and shoegaze and if you are a fan of those musical genres, you should check out this project. RECOMMENDED TRACKS INCLUDE "Organico I - Vozes Sem Corpo" and "Contraplacado". 8 OUT OF 10. First of all i would like to thank you about this interesting interview. through sources far away from musical fields (even though they seemingly have a connection). So my plans, are the production for the next Dark Awake album. 2.So far you have released 3 albums, how would you describe the musical sound that is present on all 3 recordings and also how do they differ from each other? The Music and Image exploring the fields of SYMPHONIC NEOCLASSICAL ORCHESTRAL APOCALYPTIC FOLK MARTIAL DARK AMBIENT RITUAL OLD NOISE ! with neoclassical instruments, ambient soundscapes,human bones instruments, etc.. The first Album "Meseonas"(Twilight Records) was more on Neoclassical ,Dark Ambient ,Martial . The second album "Epi Thanaton" was more raw ritual ,minimal and shamanistic. The third album "Soil,Blood...And The Reaping Of Light" (Great Turf Deluxe/In The Morningside Records) have elements from two previous albums and some more Noise,neofolk influences. All the albums have many differences but a listener can understand that is all Dark Awake Albums. 3.According to the fb page page, the project has been in existence since 2002 and so far there has only been 3 releases, can you tell us a little bit more about the gapes between releases? There 's no pressure to release albums ,so Dark Awake albums comes out when i m feeling that i created something which i consider remarkable is great. 4.The song themes cover a great amount of occult topics ranging from Luciferian, Ahrimanic, Goetia to some Paganism and Runes,can you tell us a little bit more about your interest in the different forms of the occult arts? All that forms,if practised sincerely,deal with esence of man,his instincts,his needs and desires. These forms is the art of changing the immediate enviroment to ones benefit,to search for universial wisdom and so to understand the secrets of nature. There are different ways to work with occult arts ,like ritual magic,high magic and earthly magic. Paganism and Runes is about natural wisdom. Dark Awake is one path for me to express ,my philosophy,views and magical experiences. 5.What is the meaning and inspiration behind the name' Dark Awake"? It means that the will to power are the will to self overcoming and self realization ,if we know our inner dark side. 6.Currently there is only 1 member in the band, do you feel this gives you a lot more room to be creative with your music? I am the only member but for some recordings i use some additional members. Elina K. done the female vocals in some songs on "Meseonas" album and Sekte adds the female vocals ,the narrations and some ideas on "Epi Thanaton" and "Soil,Blood...And The Reaping Of Light". Yes,to create and control alone my art gives me more free space. 7.Over the years you have had your albums released on Twilligt, Rage In Eden, Great Turf Deluxe, and In The Morningside Records, can you tell us a little bit more about these labels? All these record labels is very professional and is some of the best in the dark music genre.They have worldwide distribution. which specialised in Dark Ambient / Dark music. 8.Has this project been able to do any live shows or is it strictly a studio project? Dark Awake has never performed Live.Whenever i might feel to perform my art live maybe i will do it. 9.On a worldwide level how has the feedback been to your music by fans of dark ambient and other ritualistic and occult forms of music? The feedback is really great from many fans of dark music from all the places of the world.Many people are in interest to buy and listen Dark Awake. I m creating music for my own needs but is awesome to have great feedback from out there. 10.Are you currently involved with any other musical projects besides this one? No i have not any other musical project.I like to concentrate all my time for Dark Awake. 11.Where do you see the music heading into on future releases? usually emerge interesting things.It still remains to be seen. There are so many kinds of music and bands that i respect.I see no point to write about them here. i have got the opportunity to explore so many different kinds of musical expressions,because of my open mindness. Zoroastrian, Zos Kia, Victorian, W.O.T.A.N., 1700s, 1800s, 1900s, 1920s,..
People are of course welcome to contact me for any further inquiries, remarks or feedback. Expulsion where a band from Sweden that played a very dark form of doom/death metal with elements of black metal and this is a review of demo compilation of tracks which where recorded in the mid 80's and early 90's and will be re-issued in May by Vic Records under the name "Certain Corpses Never Decay". The compilation starts out with dark and evil sounding synths and a few seconds later the music goes into a more heavier doom/death metal direction while also speeding up at times along with blast beats and blackened metal vocals and the band brings in a mixture of slow and fast parts. When the album goes into the next track you can hear elements of thrash metal which where very common in those days and at times they also b ring in melody as well as small amounts of acoustic passages while the main focus is on the heavier parts of their musical sound and all of the musical instruments sound very powerful on the demo tracks. As time goes on by you can hear some riffing that would eventually start up the second wave of black metal as well as the vocals utilizing more growls and later on a small amount of clean sections and horror movie samples find their way into the songs and the doom metal elements get even more powerful on the later demos that are presented on the recording. Expulsion had a very underrated sound for its time and are among the first few bands to mix doom and death metal together while also being influenced by thrash and first wave black metal and the production has a very raw demo sound along with lyrics that cover occultism, darkness, and gore. 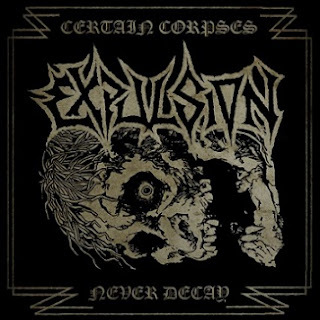 In my opinion Expulsion where a very great and underrated sounding doom/death metal band and if you are a fan of this musical genre, you should check out this compilation> RECOMMENDED TRACKS INCLUDE "Whisper From The Abyss" "Darkside" "Soul Upheaval" and "Certain Corpses never Decay". 8 out of 10. This is a review of another recording from :novemthree: which continues his psychedelic approach to neo folk music with the ep being called "From These Ashes" and released by Midnight Productions. The ep starts out with wood burning sounds along with background drones before adding in acoustic guitars along with melodic vocals and tribal sounding percussion's and after awhile more neo folk and psychedelic elements are added into the music and on the follwing track sounds of water become a part of the music. Song lyrics cover nature and metaphysical themes, while the production has a very dark and old school sound to it. In my opinion this is another great sounding recording from :novemthree: and if you are a fan of psychedelic neo-folk music, you should check out this ep. RECOMMENDED TRACK "Ashes". 8 out of 10. 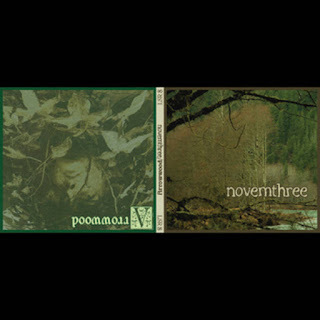 This is a review of a split album between U.S.A's :novemthree: and Portugal's The Joy Of nature both bands that have been featured before in this zine with the album being self released in 2009 and called "Meandering In Streams Of Reflection/Auguries Of Innocence" and we will start off the review with :novemthree: which continues their psychedelic form of neo-folk music. There side of the split starts off with acoustic guitars which uses of mixture of finger picking and full chords and percussion which gives the music a tribal and shamanistic feeling and after awhile folk instruments are added into the recording along with some melodic pagan chanting and on the following tack vocals become a part of the album. When we get more into their side of the split the music starts getting a bit more diverse and darker while also bring in elements of 60's folk and psychedelic rock and they also bring in a small amount of instrumentals. Song lyrics cover nature themes, while the production has a very dark and old school sound to it. In my opinion this is another great sounding recording from The Joy Of nature and if you are a fan of psychedelic neo-folk music, you should check out their side of the split. RECOMMENDED TRACKS INCLUDE "The First Flowers" and "Meadow Song. Next up is The Joy Of Nature a band that plays a very experimental form of neo-folk music. Their side of the splits starts off with acoustic and electric guitars, folk instruments and spoken vocals and after awhile regular singing becomes a part of the recording along with a small amount of guitar slides. When their side of the split goes into other songs you can hear traces of 60's and psychedelic rock being added into certain sections of the recording along with the music getting more diverse with each track and there is also a brief use of heavy parts that have an almost black metal feeling to them and after awhile synths are brought in briefly and they also b ring a very dark sounding atmosphere to the recording as well as bringing in small parts of harsh noise. Song lyrics cover dark, metaphysical and nature themes, while the production has a very strong and powerful sound where you can hear all of the musical instruments that are present on their side of the split. 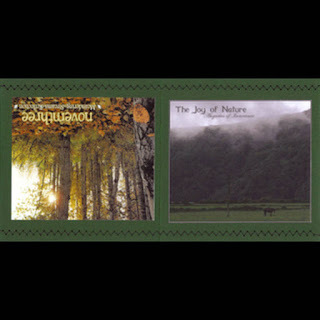 In my opinion this is another great sounding recording from the Joy Of nature and if you are a fan of experimental neo-folk music, you should check out their side of the split. RECOMMENDED TRACKS INCLUDE "Nobody's Fault but Mine" and "The Show Is Over". In conclusion I feel this is a very great sounding split and if you are a fan of neo-folk, you should check out their side of the split. 8 out of 10. 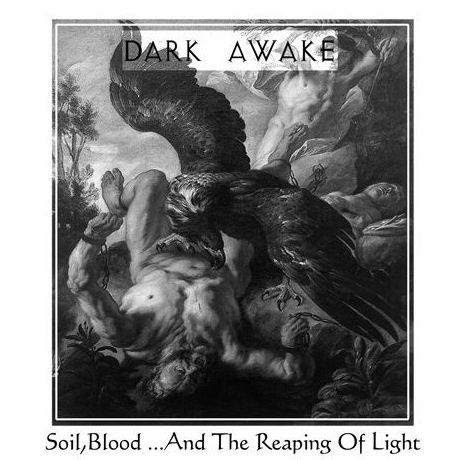 This is the final review of a recording from Dark Awake with the music being a mixture of neo-folk, ritual, dark ambient and noise with the album being called "Soil, Blood...And the Reaping Of Light" which was released in 2013 as a joint effort between Great turf Deluxe Records and In The Morningside Records. The album starts out with drones and war sounds before adding in a dark atmosphere and militant drum programming and after awhile classical music elements are brought into the music in a more dark and avant garde manner along with some female vocals being added into certain sections of the recording. When we get more into the album acoustic guitars are brought in at times and it brings a neo folk sound to the recording as well as some spoken word parts and folk instruments becoming a part of the recording and later on dark ambient soundscapes make their way into the music along with elements of old school noise. and as time goes on by synths become a part of the album and they enhance the atmospheric parts. As the album progresses male and female Gregorian chants are added onto one of the songs and on the track that follows the synths get more tragic and spoken word World War II samples are added onto the album and as time goes on by the music gets more militant and you can also hear a small amount of accordion's. With this recording Dark Awake bring in a different sound than the previous recordings with the music being more neo classical and symphonic this time around while alos keeping around the occult and ritualistic atmosphere's. Song themes cover esoteric deathcult's in pre war Germany like Fraternitas Saturni, Vril and other old mysteries dealing with North Witchcraft and the Babylonian dreamcycle of awakening, while the production has a very dark and ritualistic sound to it. In my opinion this is another great sounding album from Dark Awake and if you are a fan of neo folk/classical, ritual, dark ambient and noise, you should check out this recording. RECOMMENDED TRACKS INCLUDE "Luminous Vril" "Seidr And Runes" "Le Conte D Graal" and "Meine Nacht Ist Licht". 8/5 out of 10. This is a review of another recording from Dark Awake with the music style being a mixture of apocalyptic, ritual, neo-classical and dark ambient with the album being called "Epi Thanatan" and released by Rage In Eden Records in the year of 2013. The album starts out with a dark an atmospheric sound and a few seconds later spoken word ritualistic parts are added into the music and after awhile drum programming becomes a part of the recording and the album gets more experimental, avant garde and ritualistic as time goes on by. When we get more into the album the music starts getting more classical influeneced, ambient and symphonic in certain parts of the recording and after awhile melodic chanting becomes a part of the recording along with some classical guitars, folk instruments and human bones being brought in later on during the recording. With this album Dark Awake get more darker and apocalyptic with this album while still having some of the classical and neo folk elements of the first album while also bringing in a more avant garde and ritualistic sound this time around. Song themes cover Typhonian Witchcraft, Necronomicon, Sumerian Mythology, Runes, Qabalah and Mithriaism, while th e production has a very dark adn ritualistic sound to it. In my opinion this is another great sounding recording from Dark Awake and if you are into dark ritualistic ambient music, you should check out this album. RECOMMENDED TRACKS INCLUDE "Epi Thanaton" "Sigillum Of Cutha" "Ichor" and "Spheres of Qlippoth". 8 out of 10. . 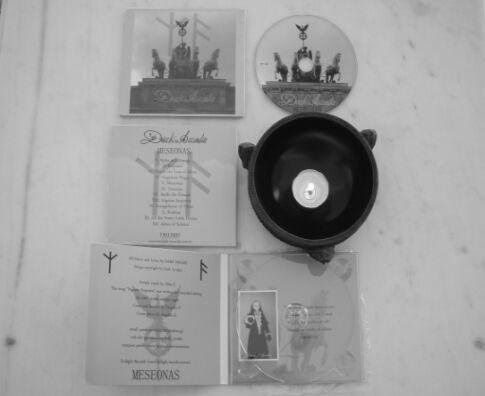 Dark Awake are a 1 man band from Greece that plays an occult mixture of neo-classical, martial, ritual, dark ambient and neo-folk and this is a review of his 2008 album "Meseonas" which was released by Twilight Records. The album starts out with dark sounding synths and a few seconds later drum programming and symphonic elements are added into the recording which also leads up to a more medieval and dark ambient sound. When we go more into the album spoken word parts are added into certain sections of the recording along with more folk and classical influences and after awhile classical guitars become a part of the recording and on one of the tracks female vocals are added into the music and you can also hear a great amount of ritualistic sounds throughout the recording and towards the end there is a Current 93 cover. Dark Awake created a very interesting sound with this album with the music being in a medieval avant garde direction while also having neo-folk and classical elements which also helps to make the album sound more original. Song themes and lyrics cover Gnosticism, Sumerian, Macabre Fantasies and Left hand path concepts, while the production has a very dark and r aw sound to it. In my opinion Dark Awake are a very great sounding occult mixture of neo-classical, martial, ritual, dark ambient and neo-folk and if you are a fan of those musical genres, you should check out this project. RECOMMENDED TRACKS INCLUDE "Alpha And Omega" "Mourn The Loss Of Ishtar" "Nigrim Serpentis" and "All the Pretty Little Horses". 8 out of 10. 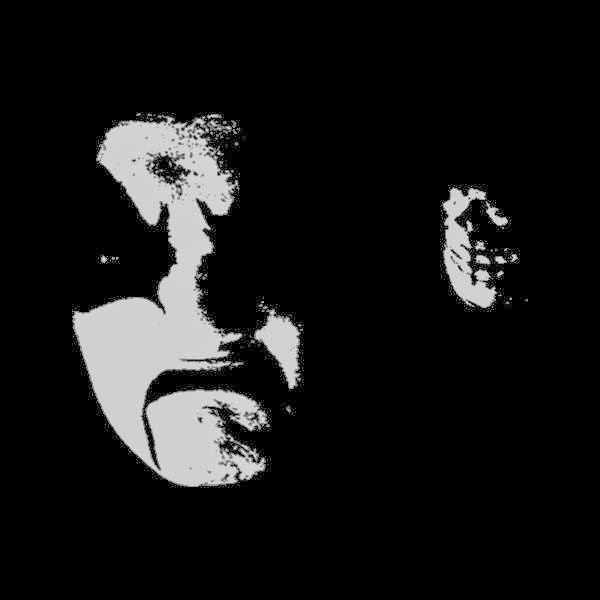 Horrida Vultuum are a duo from Brazil that plays a very experimental and ritualistic form of music with elements of black metal and this is a review of his self released 2014 demo "Cinis Ortus". The ep starts out with a silent sound before adding in more avant garde and experimental soundscapes along with some background vocals that have a black metal feeling to them which also bring a ritualistic sound to the recording and at times they have a melodic tone to them and on the following track the music gets more dark and grim sounding. With this ep Horrida Vultuum bring in 2 very short songs and make them sound very dark, evil and ritualistic and the recording as only done with vocals and sound effects with no traditional instruments being utilized. Song themes cover occult and ritualistic concepts, while the production has a very dark and raw sound to it. 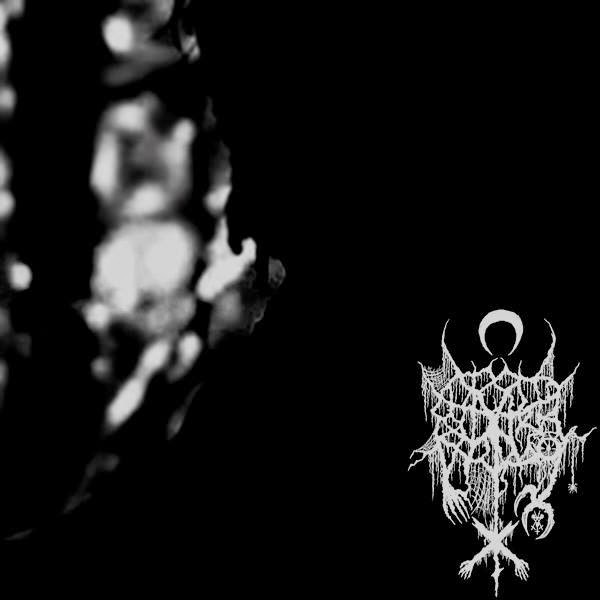 In my opinion Horrida Vultuum are a very great sounding ritualistic, experimental project and if you are a fan of this musical genre, you should check out this demo. 8 out of 10. 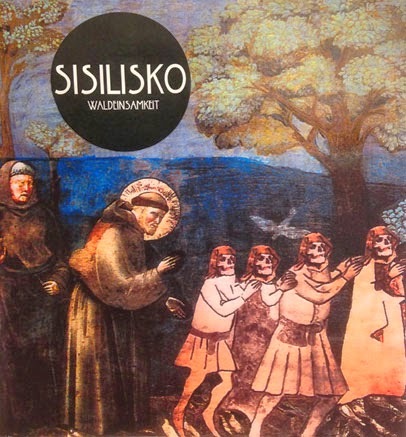 Sisilisko are a band from Sweden that has been featured before in this zine with a musical style that combines folk music with doom and this is a review of their self released 2014 ep "Waldeinsamkeit". The ep starts out with melodic chanting and a few seconds later rough style clean singing is brought into the recording and a few seconds later electric guitars become a part of the music which also leads up to some drums and all of the musical instruments have a very powerful sound to them. As the ep continues acoustic guitars are added into certain sections of the recording as well as becoming a huge part of the recording and you can also hear a good amount of melody in the recording and after awhile they also bring in a small amount of female vocals. With this recording Sisilisko continue their mixture of doom and folk music while also bringing in a heavier sound this time around and the music also has traces of alternative rock along with a great amount of melody. Song lyrics cover dark, nature and poetic themes, while the production has a very strong, powerful and heavy sound for being a self released recording where you can also hear all of the musical instruments that are present on this recording. In my opinion this is another great sounding recording from Sisilisko and if you are a fan of doom folk, you should check out this ep. RECOMMENDED TRACKS INCLUDE "Green Man" and "You'll Soon Be Dead". 8 out of 10. 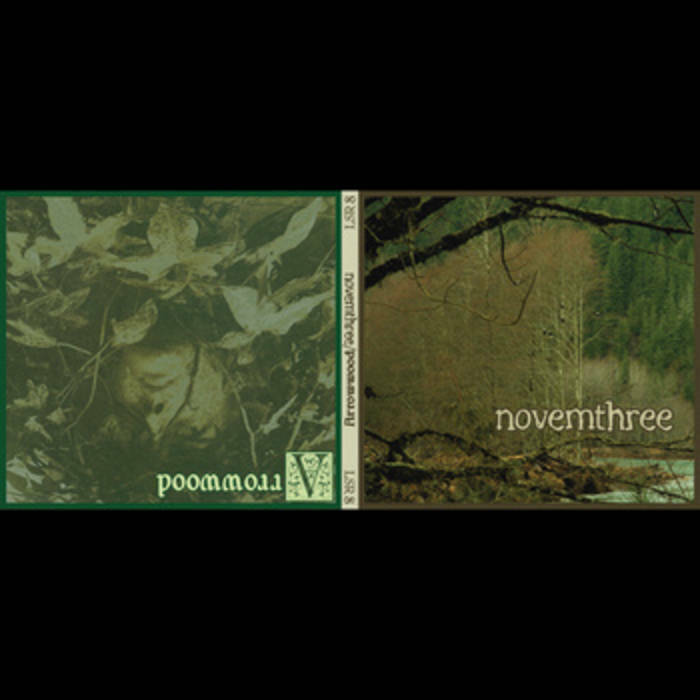 This is a review of a split album between the united States :novemthree: and Arrowwood both band s that have been featured before in this zine with the recording being self released in 2007 and we will start off the review with :novemthree: which continues their psychedelic and ritualistic approach to neo-folk. Their side of the split starts off with acoustic guitars which use both finger picking and full chords and after awhile synths and flutes are added into the music along with some percussion's and psychedelic sounds. The band also bring this sound to other songs while also bringing in melodic chanting and vocals both male and female in certain sections of their side of the split and they also bring in a small amount of nature sounds briefly. With their side of the split :novemthree: continued their ritualistic neo folk sound while also adding in psychedelic and traditional folk element s to create some music that is very dark, pagan and medieval sounding. Song themes cover nature, while the production has a very dark and medieval sound to it. 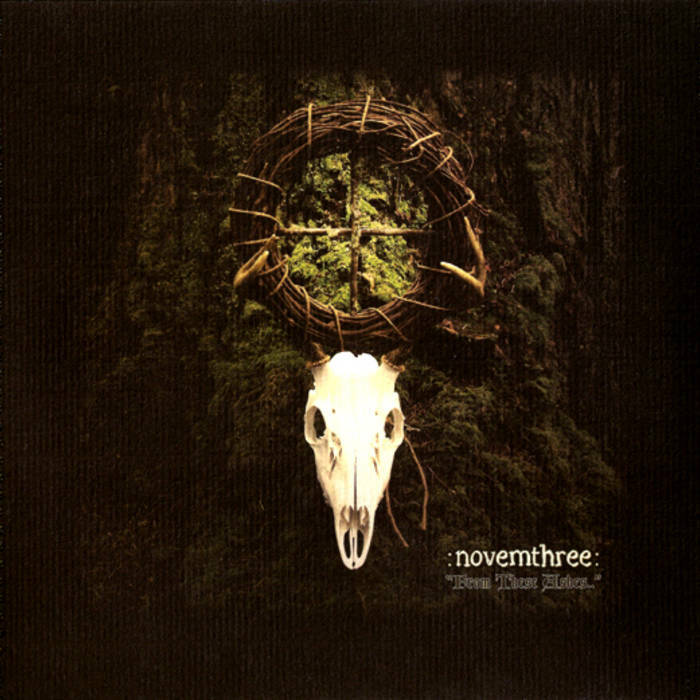 In my opinion this is another great sounding recording from :novemthree: and if you are a fan of psychedelic neo-folk, you should check out their side of the split. RECOMMENDED TRACKS INCLUDE "Stories Of Blood" and "Vespers". Next up is Arrowwood a band that plays a psychedelic form of pagan neo-folk. Their side of the split starts up with psychedelic sounds and acoustic guitars that use both finger picking and full chords along with folk instruments and after awhile melodic female vocals are added into the music and they give their side of the recording an esoteric feeling. As their side of the split continues the music starts bringing in more 60's psych rock and traditional folk music elements which make their music have more of a medieval feeling to it and all of the songs are very short in length. Wit h their side of the split Arrowwood bring in a very esoteric and pagan approach to neo and medieval folk music while also having some medieval and psychedelic rock elements beign added in at times. Song lyrics cover darkness and nature themes, while the production has a very dark, esoteric and medieval sounding feeling to it. In my opinion this is another great sounding recording from Arrowwood and if you are a fan of pagan, neo folk music, you should check out their side of the split. RECOMMENDED TRACKS INCLUDE "Funeral Lullaby" and "Bells In An Old Forest". In conclusion I feel this is a very great sounding split and if you are a fan of neo folk music, you should add this album to your collection. 8 out of 10. 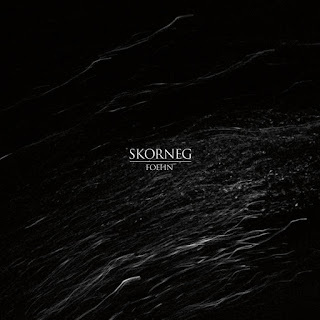 Skorneg are a band from Canada that plays a mixture of drone, dark ambient, industrial and doom metal and this is a review of their 2014 album "Foehn" which was released by Malignant Records. 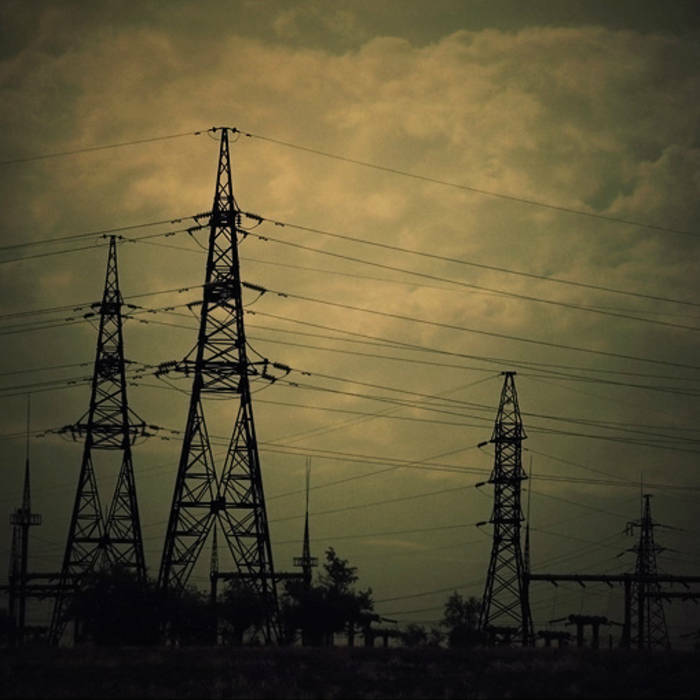 The album starts out with dark ambient drones which dominate the first track and when the album goes into the second song you can hear more traces of atmospheric dark ambient elements being mixed into the music while also having somewhat of a doom metal feeling but with no guitars or vocals and when we get more into the album traces of noise and industrial are added into the recording. With this album Skorneg create a very dark and atmospheric soundscape that mixes dark ambient, drone, doom and industrial and the music also evokes a very raw feeling as well with the sound s that are present on this recording. Song lyrics are all absent from this recording with the music being all instrumental, while the production has a very dark and raw sound along with all of the tracks being very long and epic in length. 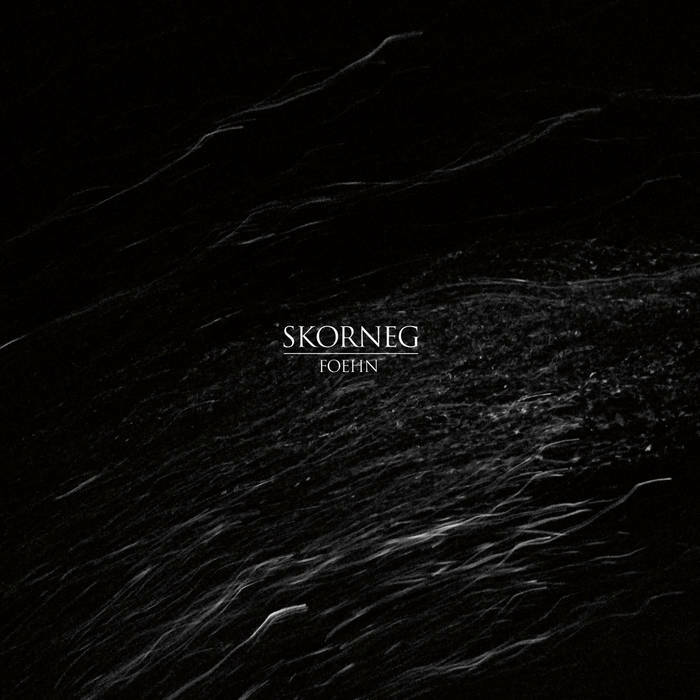 In my opinion Skorneg are a very great sounding mixture of drone and dark ambient and if you are a fan of those musical genres, you should check out this project. RECOMMENDED TRACKS INCLUDE "Foehn" and "Sherpass". 8 out of 10. Nux Vomica are a band from Portland, Oregon that plays a mixture of sludge and crust with elements of black and death metal and this is a review of their self titled 2014 album which will be released by Relapse Records. The album starts out with powerful sounding bass guitars, distortion and a dark atmosphere as well as a great amount of melody and after a few minutes the music goes into a heavier direction while also keeping around the clean parts which also leads up to some aggressive sounding crust/grind screams and after awhile the music gets a bit faster along with blast beats and black metal influences. As time goes on by crust and death metal vocals are added into certain sections of the recording as well as some solos and leads and you can hear a good amount of melodic death metal elements in the music and in certain parts of the recording you can also hear traces of harsh noise and on the second track a small amount of acoustic guitars are brought into the recording and on the last track you can hear a small amount of spoken word samples being utilized. 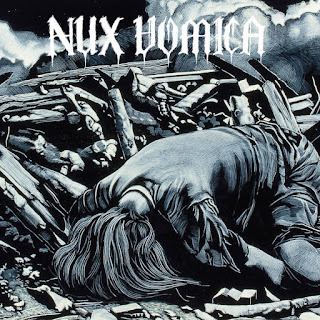 Nux Vomica create a very original sound with this recording with their music being based more in the sludge and crust direction while also being influenced by melodic death and black metal as well as having small traces of harsh noise and they create a very dark and original sounding recording. Song lyrics cover dark and depressive themes, while the production has a very strong, powerful, heavy, dark and professional sound where you can hear all of the musical instruments that are present on this recording as well as all 3 of the songs being very long epic in length. 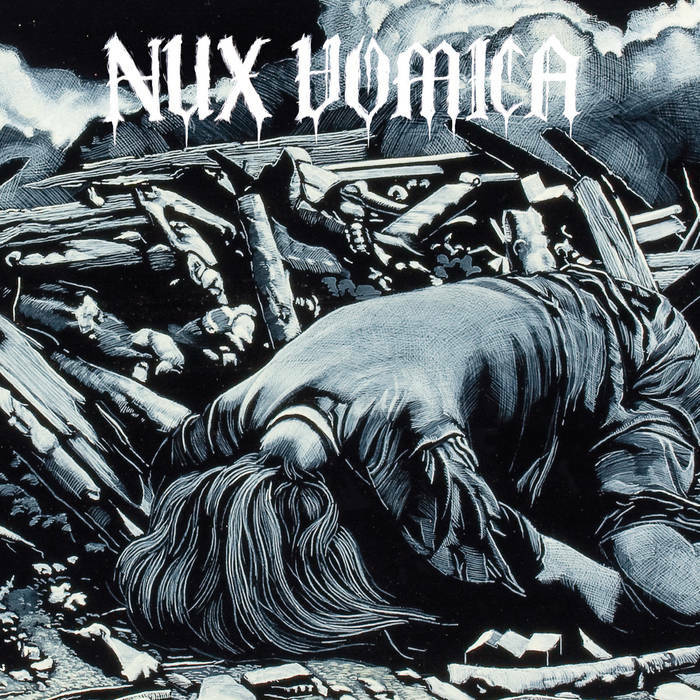 In my opinion Nux Vomica are a very great sounding melodic sludge/grind band with traces of death and black metal and if you are a fan of those musical genres, you should check out this band. RECOMMENDED TRACK "Reeling". 8/5 out of 10. 2.Recently you have released a new album, can you tell us a little bit more about the musical sound of the new recording and also how does it differ from your past efforts? Enter Großinquisitor Rudolf Von Deer: Naturally sounds are better in this "New Era" consisting of Der Zwergenhammer (3rd ep) and AGD4, well the old material was made in 97-98 or something like that, new in 2013-2014... Rudolf is a wizard in raising some hell against those abominations you call gnomies... As lyrics are more war oriented so is the music. With AGD4 we also made some folklore style stuff (Tonttujen Kestit) for which we got some help with composing from our long time supporter High Commander Hephzibah (relentless anti-gnomeist)... That was our nod to our past and probably will use HCHs help in the future too. But as we call our music: Anti-Gnomemartialindustrialneofolkmetal, that will include it all. 3.Your lyrics cover occult and anti gnome themes, can you tell us a little bit more about your interests in these topics? -Basically these are the things you run into while fighting against gnomes so they're one and the same, so it's necessary to keep an open mind and plug in to these topics as perilous as they might be. Gnomes often use (red) magic so you'll have to be ready for some proper defence. Naturally most legends and folklore are really about gnomes - for some reason there seems to be a habit of switching gnomes into other creatures as the time goes by: a plot by gnomes to polish their shields, perhaps? Sympathizers helping them? Naturally & unfortunately so. To make it a bit easier for everyone you can find lyrics also in english in all our releases. 4.What is the meaning and inspiration behind the name TONTTU? -Gnomes, naturally: Finnish word tonttu means gnome in english. We like to keep our enemies near by using that name. You meaning changes with spelling (TONTTU / Tonttu for the project, tonttu for gnomes). -No touring, T (musical operations) is a project which only concentrates on raising awareness about gnomes and evil that they do, hunting and such takes our time let alone the fact that we know that gigs would give those critters too much leisure time and good chance to reveal our identity. As I mentioned earlier: it is and always will be a project. 7.The new album came out on Panicmachine, can you tell us a little bit more about this label? -Excellent label from US with awesome talent in it, happy to work with them.... Many of my favourite acts are there to be found (Veil of Thorns, Choronzon... and surely anti-gnome attitude through all that they do. We do seem to share the same sense of humour (when there is time for that... Damn pesky gnomes...). Naturally it's easier to push our propaganda with some back-up. The easiest way is to go to their site and check out the bands (http://digital.panicmachine.com/), naturally we moved Nekrognomekon to their site even though it was released by ourselves - we were not sure of which companies those sympathizers lurk in and are ready and more than eager to destroy our Great Work. 8.On a worldwide level how has the feedback been to your music by fans of neo folk, industrial and metal? -Finnish (mostly metal) magazines have already given their opinions of Nekrognomekon and it seems the whole scene is occupied by gnome sympathizers, fortunately it seems there's still some free will around the world... Seems like our humour is a bit too much for metal fans (what humour? They must think it's all fun and games but I can assure you, that these are grave things we are trying to inform you of), even though if have to be more specific BM-fans seem to be more open minded with T and its theme... Best feedback has to come from industrial / goth people around the world (dark-ambient seems to be the world most welcoming to some goode-olde-gnome-eradication). We have met many excellent musicians around the world who now are supporting & helping TONTTU. You know who you are; cheers! -Where ever the lyrics lead us, we will not forget our roots and mixing those ingredients... There's lots to be done to achieve such musical effort that it repels gnomes for sure! -Well, mentioned in Nekrognomekon following acts: Isengard / Storm / Darkthrone (Saunatonttu...), Laibach (!!!! ), NON, Blood Axis and Swedish band Puissance (Taisteluni) not to forget awesome experimental / avantgarde act Keuhkot from Finland.... So there you go: BM / NF / Experimental mostly... Nowadays big interests musically come mostly from same areas, maybe some more from Dark-Amb-neighbourhood, heh.... Coincidence? 11.What are some of your interests outside of music? -Gnomes, gnomes, gnomes... If any leisure time gotta keep family safe and read some good books, let alone watch a good film every now and then... That should keep me busy. I love to write, but that is connected to music, so... Oh, did I mention resisting gnomes? -Support smaller acts if you are given the chance and if they're any good, many awesome anti-gnome oriented acts around there to be found! Bandcamp gives a good start if you feel like it.